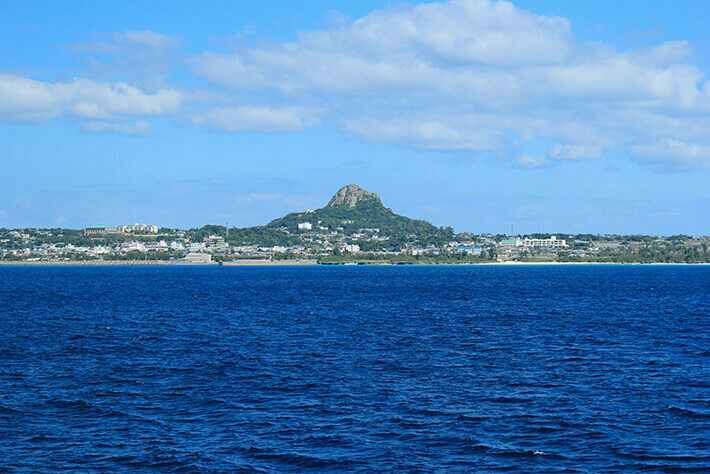 An Idyllic Island Characterized by Its Landmark "Tacchu"
Ie Island is well known for Mount Gusuku, a mountain locally known as “Tacchu,” that protrudes from the center of the relatively flat island. Also visible from the Okinawa Churaumi Aquarium, it is likely that many individuals have gazed upon the characteristic silhouette. 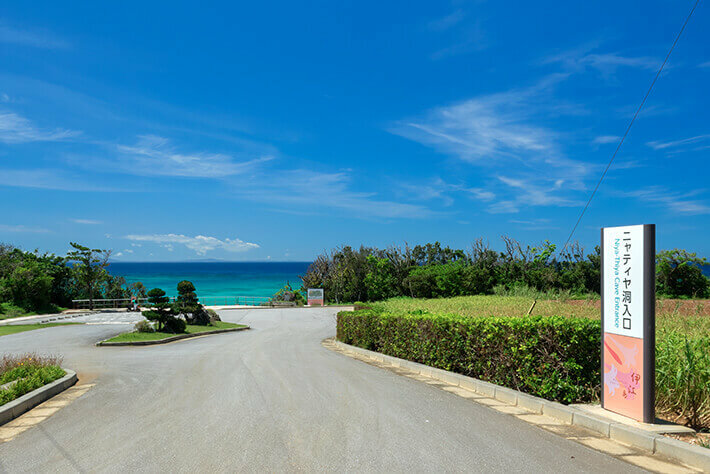 Located a 30-minute ferry ride away from Motobu Port in northern Okinawa, Ie Island is popular as a remote island that is easy to visit. Boasting an annual “Ie Island Lily Festival” with over 1 million Easter lilies in full bloom and a “Hibiscus Garden” where over 1,000 varieties of hibiscus can be enjoyed, the island has come to be known as Flower Island. 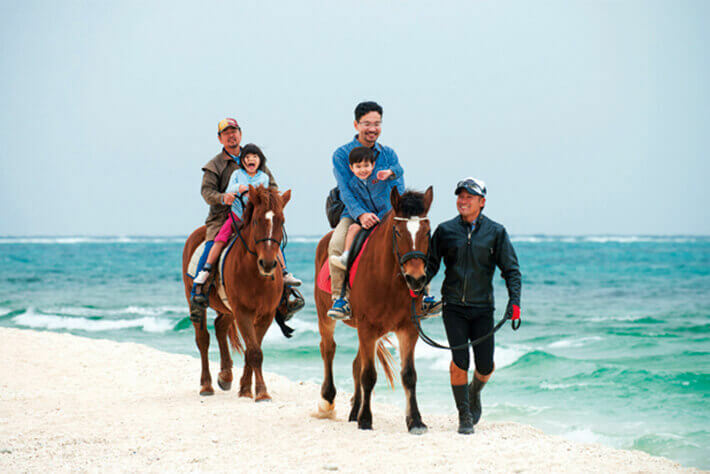 The island has a booming agriculture with an abundance of produce, including sugarcane, peanuts, brand beef “Ie Beef” and more, making it an island where a rich variety of cuisine can be enjoyed. 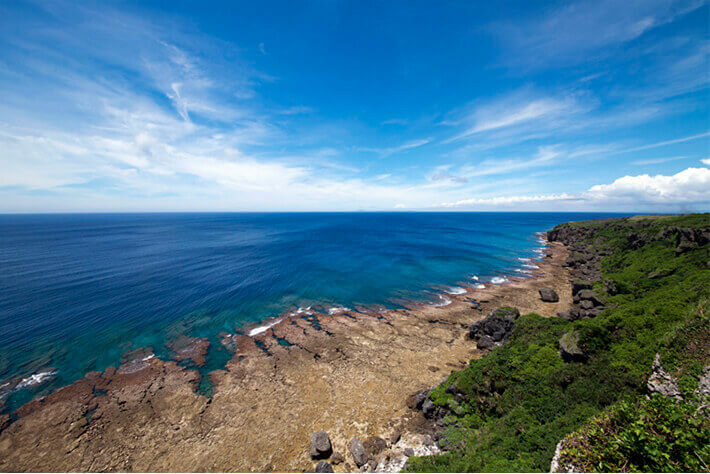 Impressive 360 Degree View from "Iejima Tacchu"
Mount Gusuku, the symbol of Ie Island, can be seen from afar, and was therefore once used as a marker for ships sailing in the nearby waters. People who are not from the island began to call the mountain “Tacchu” meaning “sharp tip” and the name stuck. 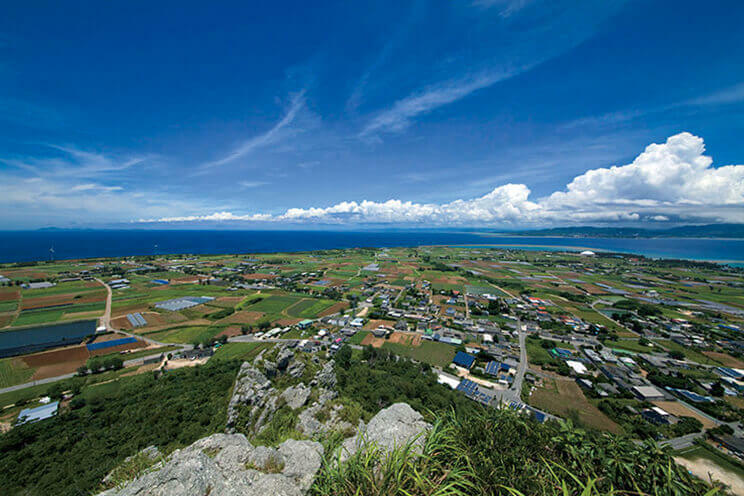 Looking out over the predominantly flat island from the summit of Mount Gusuku, there are no obstacles blocking a spectacular 360-degree view. To reach the summit, which sits at 172m above sea level, there are stairs that even children can climb, taking approximately 15 minutes to reach the top. Also awarded the TripAdvisor 2017 Certificate of Excellence, it is the number one tourist attraction on the island. 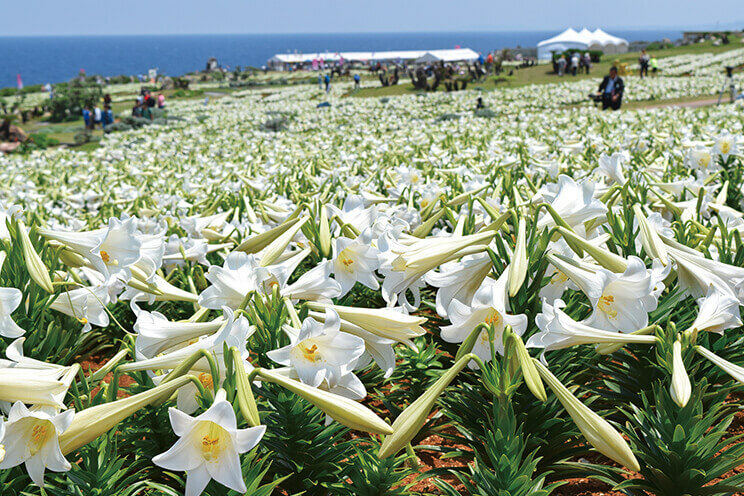 1 Million Easter Lilies in Full Bloom at "Ie Island Lily Festival"
Ie Island Lily Festival, Japan’s earliest lily festival, is held every year at Lily Field Park on Ie Island from late April to the middle of May. 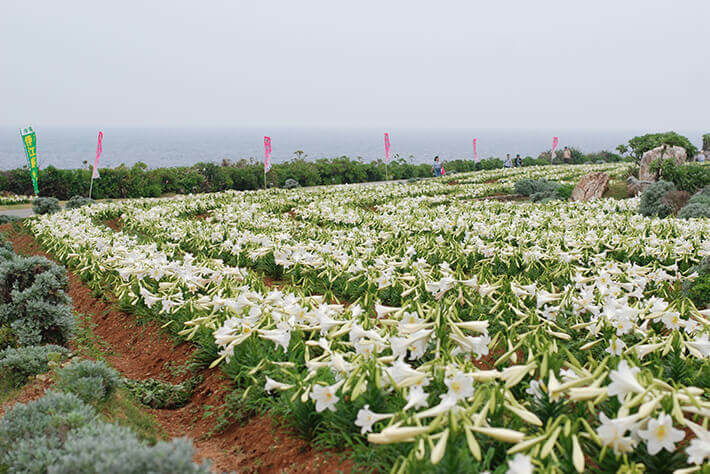 With one million Easter lilies blooming all together, a spectacular masterpiece seeming of a pure white flower carpet floating in the beautiful deep blue sea is laid before you. With a spectacle of approximately 90 species of lily from around the world, it is a flower festival that represents Ie Island. Delicious ingredients from the sprawling open land of Ie Island. Ie Island, blessed with very fertile land, was known as the biggest production area for wheat during the time of the Ryukyu Dynasty. Seen from above, Ie Island is shaped like a slightly thick jimami (peanut). But that is coincidence to the fact that jimami are a famous specialty product of Ie Island. A sweet miso snack known as “Misopi” and a treat made using milk from Ie Island known as “Peanut Ice” are extremely popular. The area is also well known as a production center for superior calves, with a majority of them being shipped out of the prefecture to be branded as Wagyu Beef, including Kobe Beef and Matsusaka Beef. 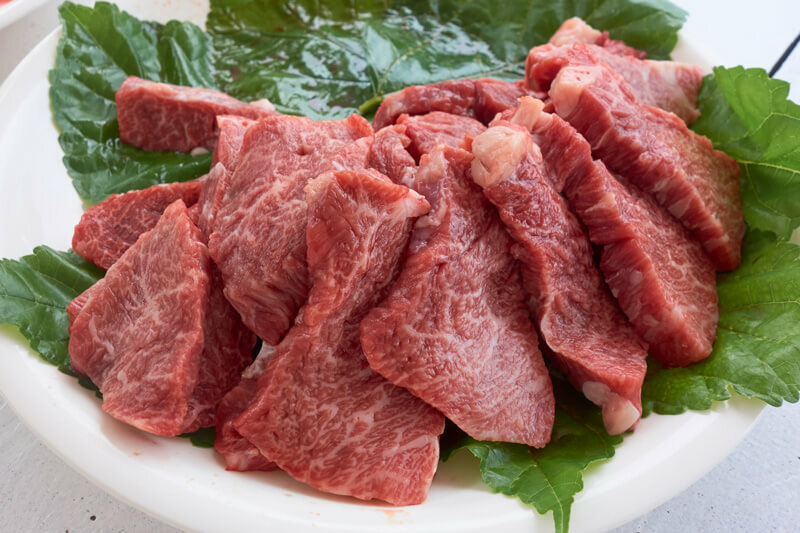 With a limited amount of “Iejima Beef” being raised and consumed within the island, it is sometimes referred to as a phantom Wagyu brand.